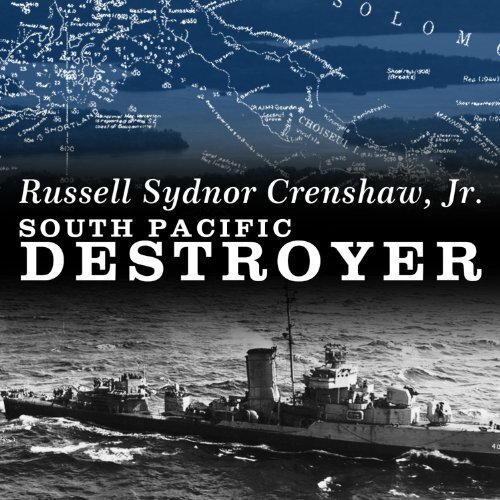 Russell Crenshaw's riveting account of the savage night battle for the Solomon Islands in early 1943 offers listeners a unique insider's perspective from the decks of one of the destroyers that bore the brunt of the struggle. Drawing on his experience as a gunnery officer in the USS Maury, Crenshaw's vivid, balanced, and detailed narrative includes the Battle of Tassafaronga in November 1942 and Vella Gulf in August 1943, actions that earned his warship a Presidential Unit Citation and sixteen battle stars. Crenshaw also discusses the impact of radar and voice radio, the shortcomings of U.S. torpedoes and gunfire, and the devastating effectiveness of Japan's super torpedo.